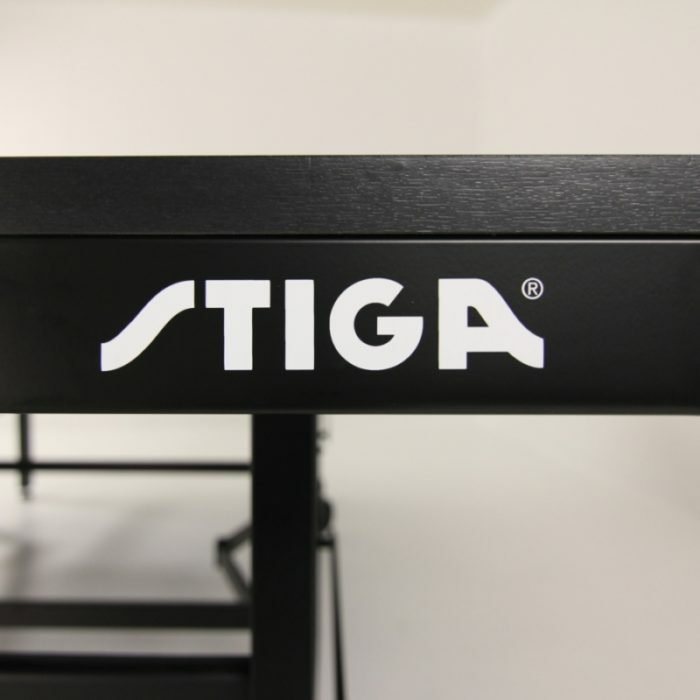 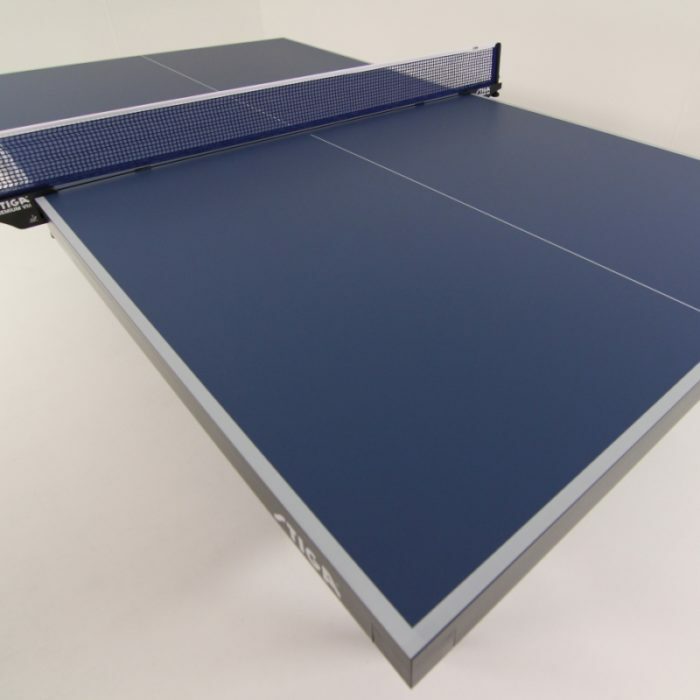 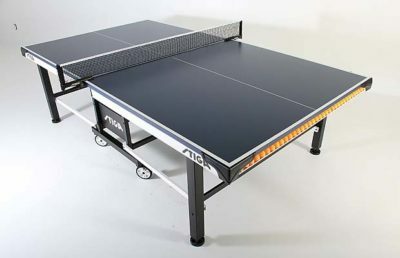 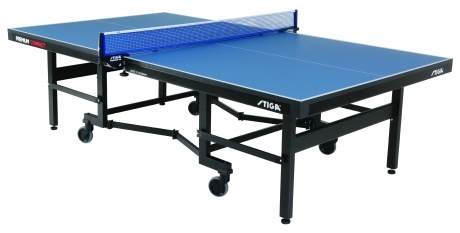 The STIGA Premium Compact Table Tennis Table is the ultimate in design, safety, convenience and world class playability. 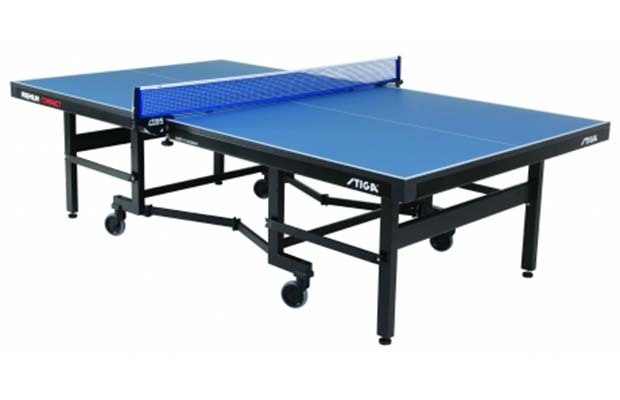 This professional level table comes pre-assembled. 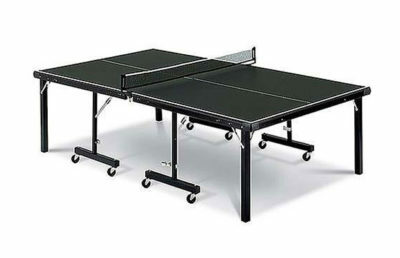 Open and close table with one person in one motion. 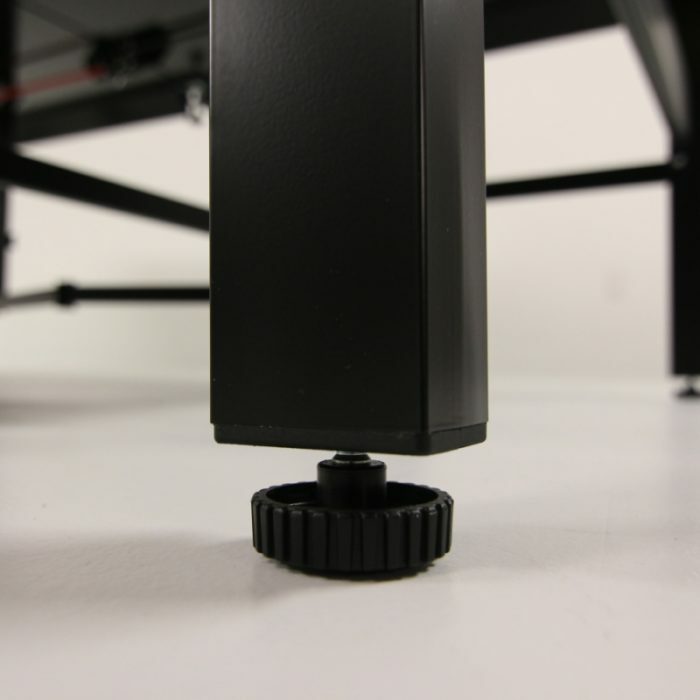 Commercial-Grade Pistons assist in opening both table halves at once. Comes 100% Preassembled in a Super Compact Storage Design. The Premium Compact features the most compact storage available at only 22 inches deep. 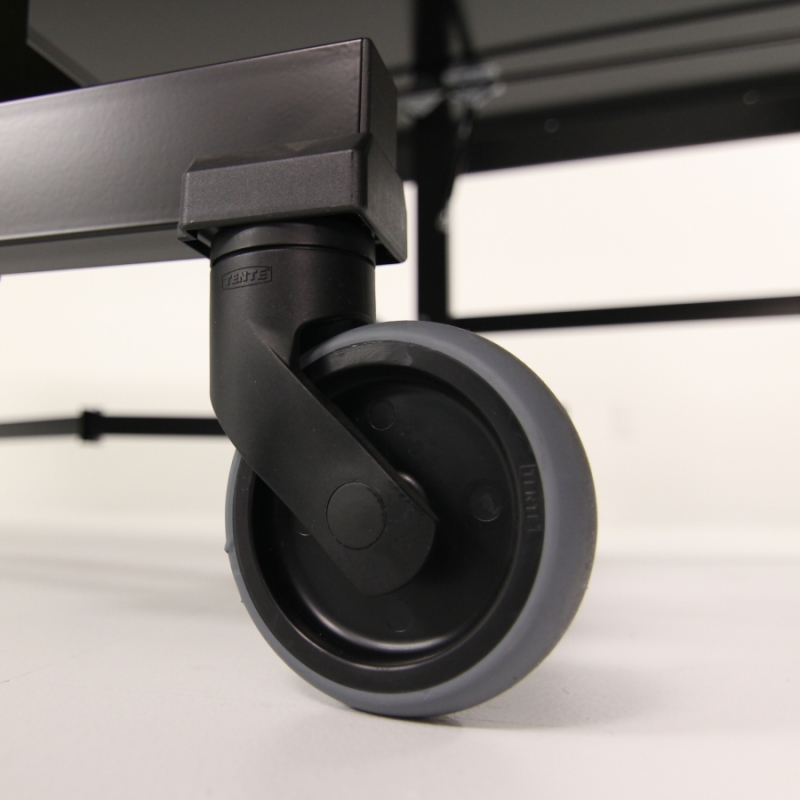 Heavy Gauge Steels Legs with Multiple Cross Beams, Leg Levelers and 4″ Casters allow the table to smoothly roll over almost any surface for maximum transportability. 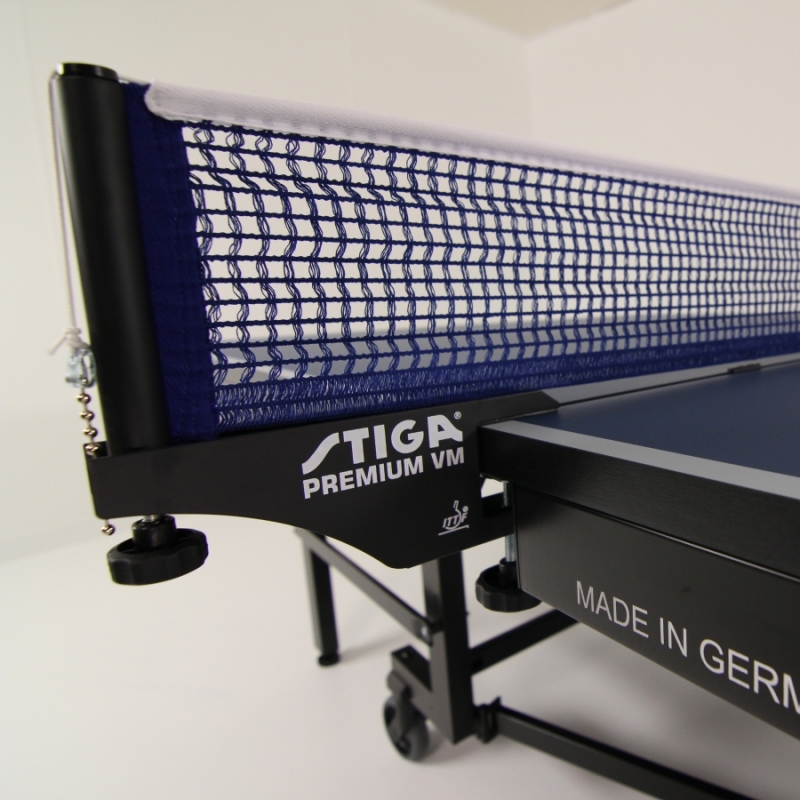 Premium VM Net and Post Set included for tournament-level play, This net and post set features a premium cotton blend net and precision tension adjustment for a tournament quality net that is ITTF approved. 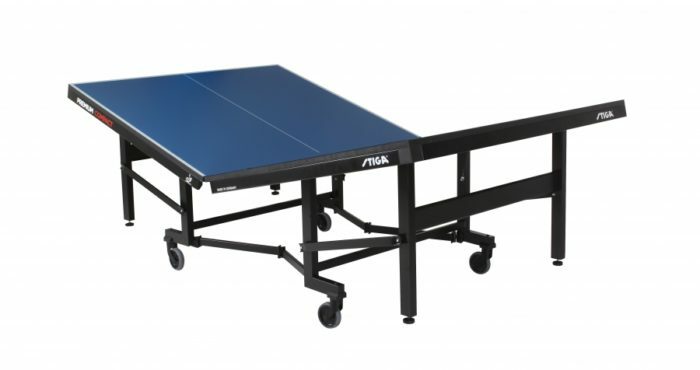 Heavy-duty steel chassis with multiple cross beam supports for unparalleled strength. 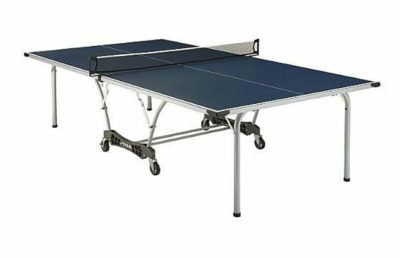 Self-opening legs automatically deploy when opening or closing the table, adding safety and convenience. 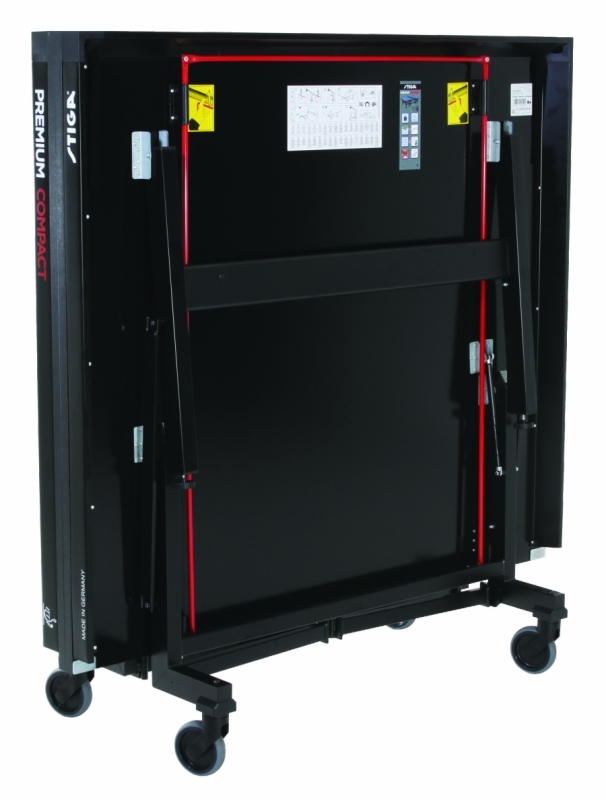 In the storage position, the table halves lock into place until the red safety release bar is pulled.